Metalsmith Darcie Beeman-Black will present a body of work called PERCEPTUAL DIVERGENCE at Ameriprise Gallery from October 29 through November 20, 2017. A reception will commence at 465 South Main, Memphis, Tennessee from 6 PM to 9 PM on October 29. The reception will take place during River Arts Fest, and drinks and snacks will be served. In this exhibit, metal artist Darcie Beeman-Black presents body art and jewelry inspired by Victorian medical instruments. The pieces were fabricated out of copper and silver, and they include various forging, weaving, and forming techniques. 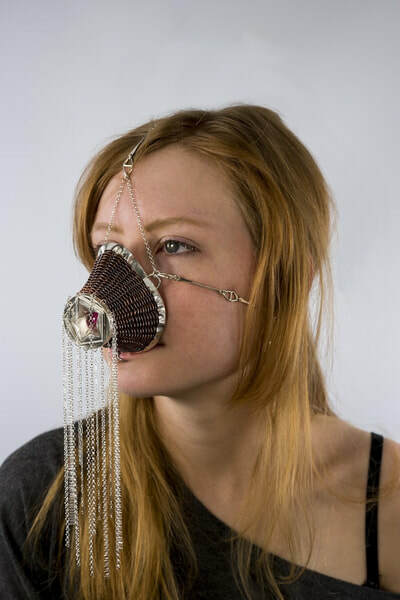 Through this body of wearable artworks, Beeman-Black shares a narrative about the limitations of sensory perception. 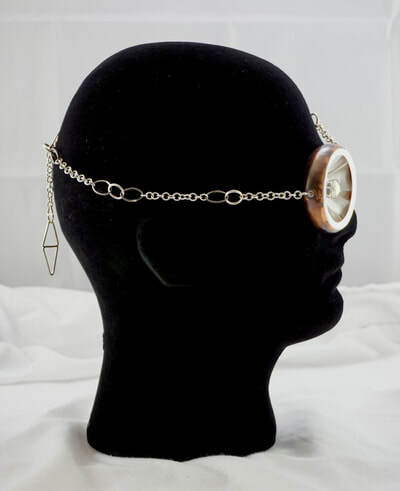 The collection engages all five senses, vision, hearing, taste, smell, and touch, and includes an eye patch, crown, face mask, spoon, and ear horn. 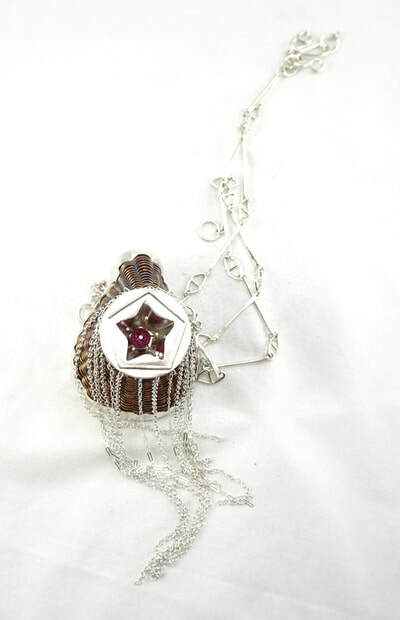 Each piece of jewelry incorporates imagery that references the artist’s historical and contemporary research on human sensory perception and mixes both symbolism and function. Every wearable art piece has an impact on the body, and the wearer experiences a sensation for each perceptual reality. “In some ways, humans are held back by the same mechanisms in our body that empower us to understand the world around us. 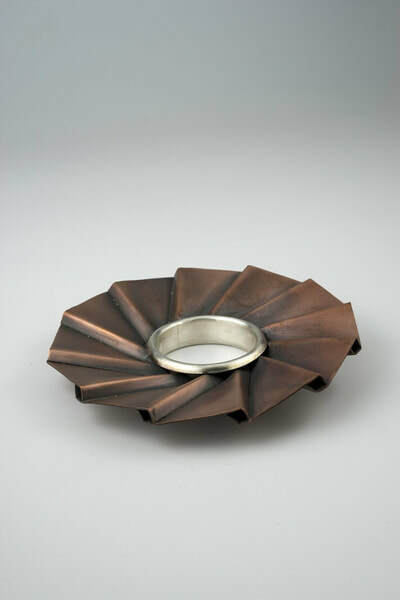 Exploring both the limitations and power of our senses is what drives my work,” says Beeman-Black about the show. Perception is what empowers humans to interpret the world. But, perception also has its limitations. While humans do perceive at a constant rate, humans are unable to realize a great deal of the universe. Human perception is limited understanding as well as empowered comprehension. Scientists have discovered the wall of knowledge in some instances. When observing the human existence through a holistic lens, one verifies both sensory deprivation and sensory absorption. While there is an abundance of space in the universe, humans can only perceive a fraction of it. 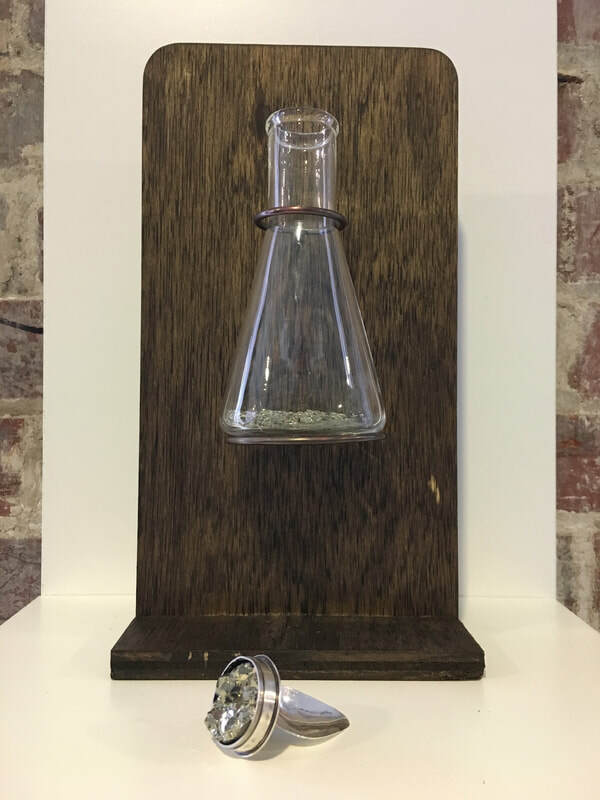 The body of work presented shares a narrative about the limitations of sensory perception discovered during research. Vision, hearing, taste, smell, and touch are all addressed in the art jewelry pieces in the collection. Victorian medical instruments inspired the forms. Each piece of jewelry includes imagery and connotations discovered through research about historical and contemporary studies about human sensory and perception. The body of work consists of an eye patch, crown, face mask, spoon, and ear horn. 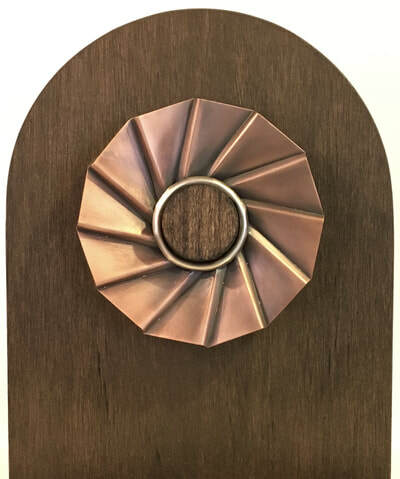 Each piece includes both symbolism and function. 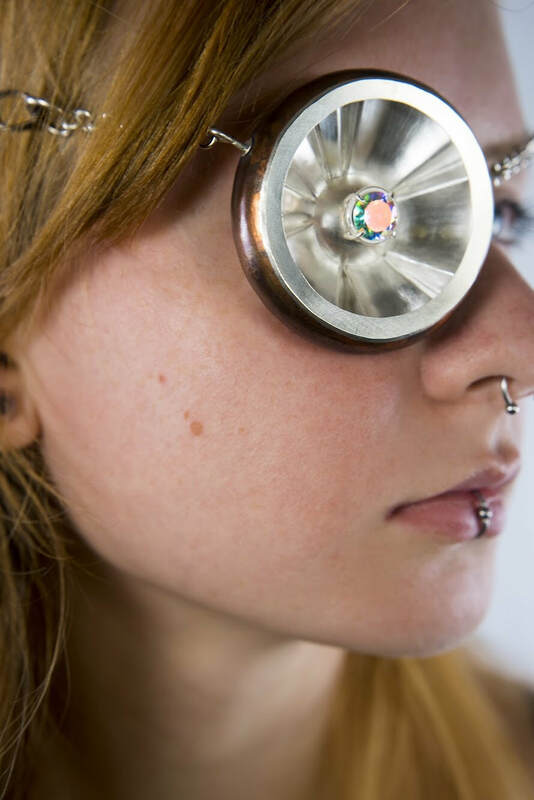 Pirate eye patches, doctor head mirrors, and Isaac Newton’s experiments on the dispersion of light inspired the Visible Spectrum Eye Patch. Pirates wore eye patches to preserve their night vision and preserve the ability to see when traveling back and forth from the lower to the upper deck on the ship. The eye patch became an excellent object for reference due to its embodiment of both empowerment and limitation of sight. The decision to also use a head mirror form came from looking at Newton’s field notes from his experiments. The color wheel illustrations also inspired the folds in the reflective form found encased in the piece. 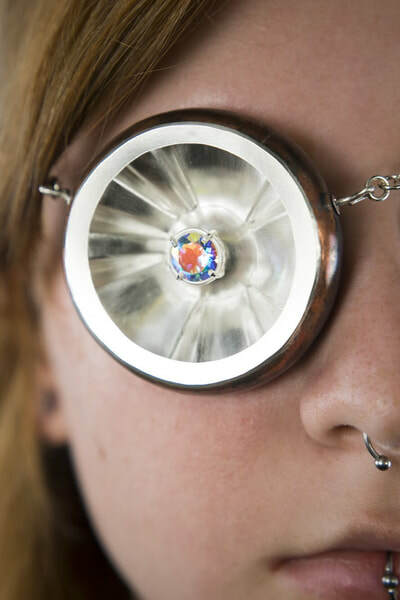 An opalescent topaz obstructs the view through the eyepatch to provoke a color spectrum design using prismatic planes of the gemstone. 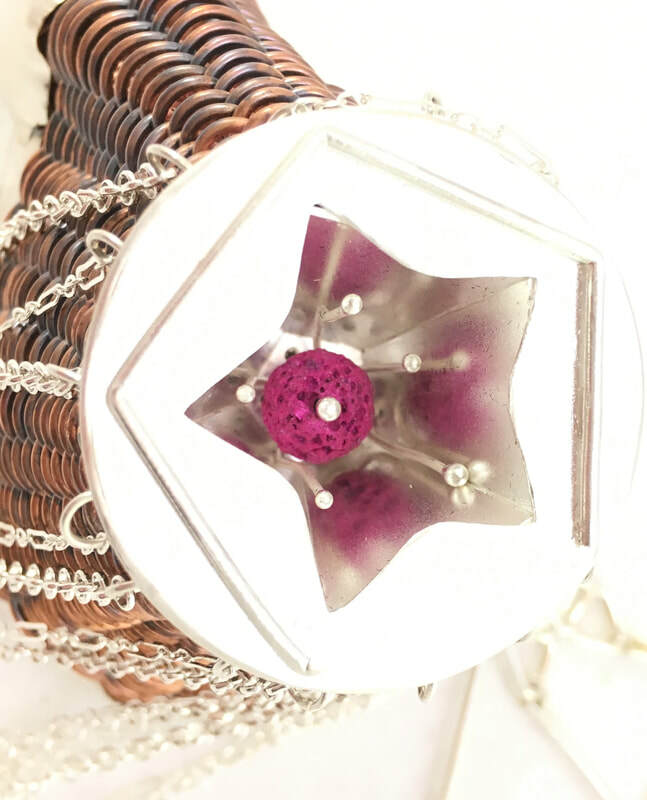 The wearer engages with the research of color and light in this piece. Iron Deficiency Spoon came about when researching about iron deficiency and necessity of food to survive. To wear this piece, one must gag themselves with a spoon. 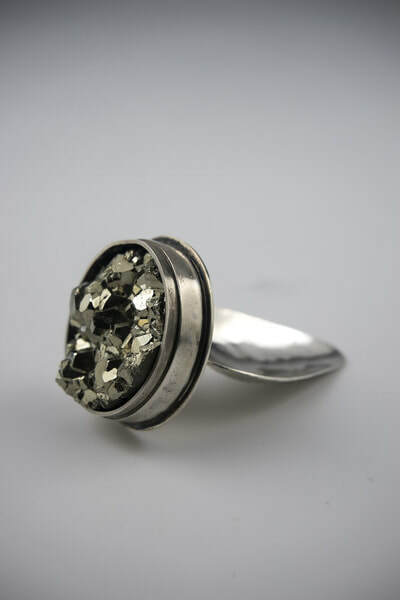 Iron pyrite is set to signify the need for iron to survive. While taste plays a role in the enjoyment of food, iron is still what holds us as slaves to survival. Mountain Laurel Respirator also includes smell as a partner to taste. The Mountain Laurel flower's form inspired the kaleidoscopic image at the front of the piece. Mountain Laurels smell good, but consumption is not recommended because they are poisonous to humans. This deception supports the claim that while human senses provide important information to perceive, those perceptions can be limited. 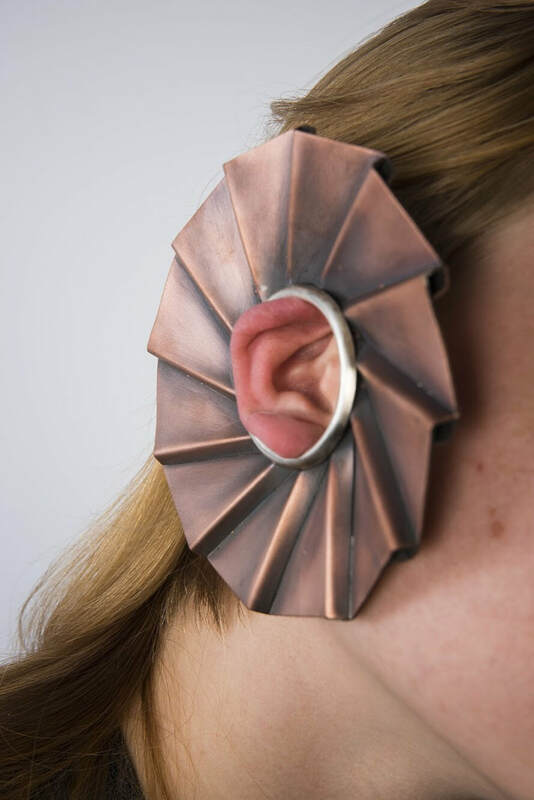 Shepard’s Tone Ear Cuff displays a narrative about the deceptions possible in human auditory perception. During research for this piece, I discovered Shepard’s Tone. The Shepard's tone is a series of notes that when played in succession over and over, much like an endless staircase, gives the illusion that the sounds are infinitely ascending and never going back down in pitch. This phenomenon also supports that humans are deprived of accurate sensory interpretation. 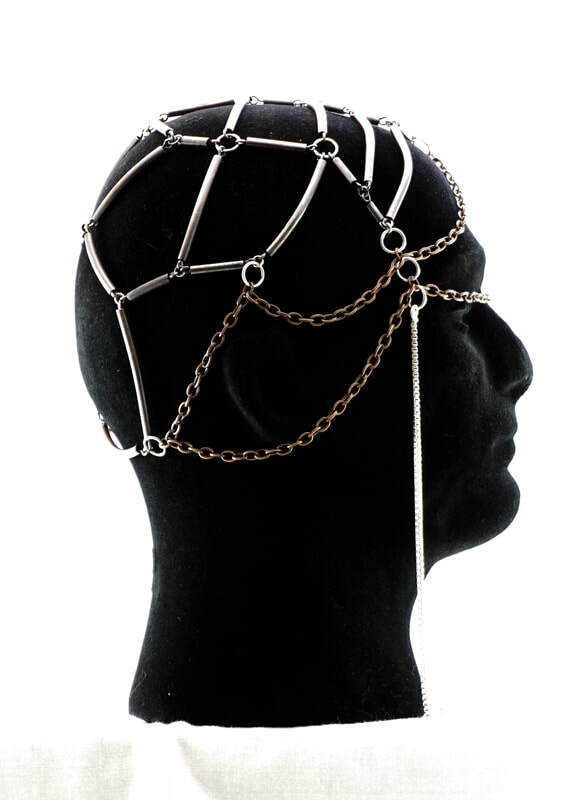 Finally, Phrenology Crown is a piece created from my discovery and exploration about sensation and touch. Studies reveal that the temperature on the surface of the epidermis changes according to emotions and human experiences. For example, the area around the eyes gets hottest when we are surprised. The head receives heat when anger, love, shame, pride, and happiness are experienced. This crown is based on my memories from a specific time in my life. I used growth patterns from my hair to inspire different sensations on my head. 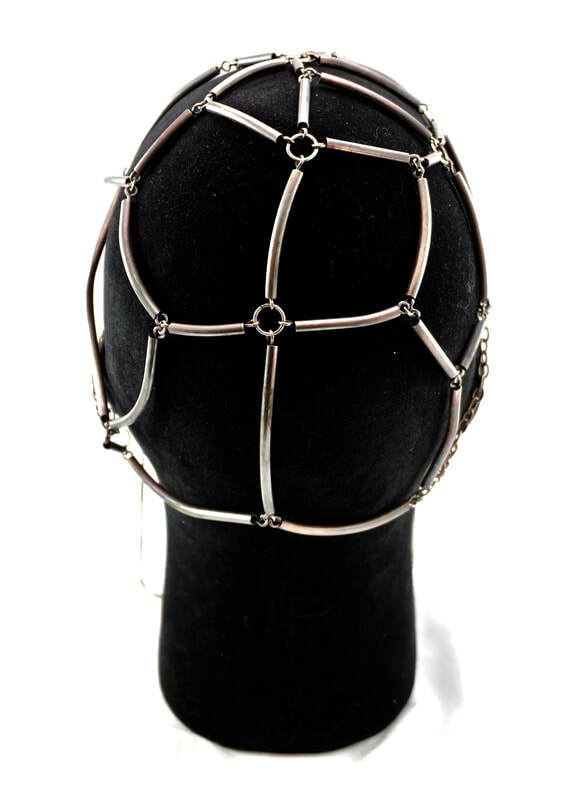 I also used a phrenology head to augment the areas to be touched or voided. 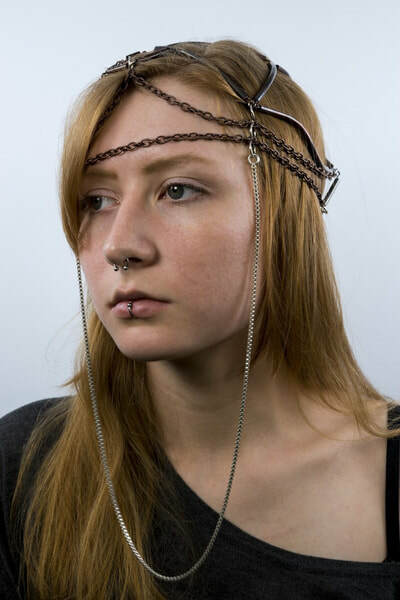 The body jewelry presented includes the research of perception of humans, a discovery of scientific forms from history, and my understanding of perception and sensation. My conclusion that perception is both empowering and limited is communicated through the body art jewelry included in the works.